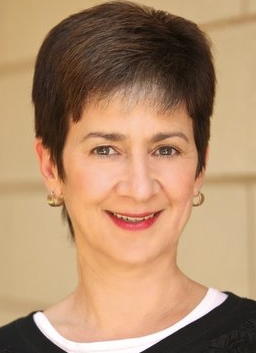 Rochester, NY--March 7, 2019-- Ann Costello, Director of the Golisano Foundation, will address the Global Inclusive Health Forum at the 2019 Special Olympics World Games in Abu Dhabi on March 13 and present the 2019 Golisano Global Heath Leadership Awards to seven honorees. The Forum and Awards will be held March 13 from 9AM- 12PM (Abu Dhabi time or 1AM-4AM EST March 13) ) at the Ritz-Carlton Hotel, Abu Dhabi, United Arab Emirates. A press release announcing the honorees will be sent out immediately following the presentation. The Forum will be attended by global health leaders and influencers who will discuss the urgent need for inclusive health and how to end the exclusion of people with intellectual disabilities – by addressing the most critical barrier to access to health services – the lack of adequately trained public health workers. Participants will share solutions and commitments to help Special Olympics train 10,000 public health workers in 20 developing nations to provide quality healthcare to individuals with intellectual disabilities over the next 3-5 years. 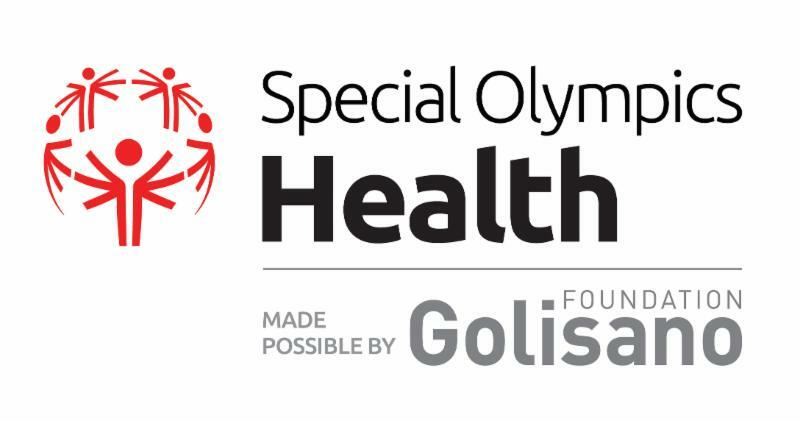 Honorees of the 2019 Golisano Global Health Leadership Awards — the highest honor for Special Olympics health partners — will be announced at the Global Health Inclusion Forum on March 13. The Awards will recognize seven outstanding health professionals and organizations who will be selected from 105 2018 Regional Golisano Health Leadership Award Honorees. The Golisano Global Health Leadership Award was established in 2016 and recognizes health champions and the progress being made around the world to increase access to essential health care for people with intellectual disabilities. The award is named for philanthropist and Paychex founder Tom Golisano who has donated more than $37 million to Special Olympics to help people with intellectual disabilities around the world access quality healthcare. It is the largest gift from a single donor Special Olympics has received. The honorees are health champions in their countries. Their extraordinary efforts are fulfilling the goals, values, mission, and targets of Special Olympics’ global health strategy, made possible by the Golisano Foundation. Costello will also speak at the opening of Healthy Athletes. The heath screening program is provided free by volunteer heath clinicians from all over the world to Special Olympics athletes. Over the last 20 years, Special Olympics has trained more than 220,000 professionals as part of the program, improving access to quality health services year-round and around the world. Every athlete attending the World Games will have free access to health screenings in podiatry, vision, dentistry, physical therapy/fitness, nutrition and healthy habits, audiology and emotional wellbeing. More than 7,500 Special Olympics athletes from 190+ countries, will come to the UAE to compete in 24 Olympic-style sports . The Opening Ceremony will take place at Zayed Sports City Stadium, Abu Dhabi, on Thursday March 14 from 5PM. More than 40,000 spectators and millions of viewers worldwide are expected to celebrate the official start of the World Games. The Opening Ceremony will be broadcast live by the Official World Games Broadcast Partners, ESPN and Abu Dhabi TV, under the umbrella of local media partner, Abu Dhabi Media. ESPN will cover more than 25 hours of live coverage across venues and competitions. The World Health Organization estimates that up to 200 million individuals worldwide have an intellectual disability (ID). Special Olympics Health , made possible by the Golisano Foundation, is creating a world where people with intellectual disabilities have the opportunity to be healthy. Special Olympics is the largest global public health organization for people with ID. It says that despite severe need and higher health risks, persons with ID often lack access to health care and services and are frequently among the most vulnerable populations in any country. On many occasions, individuals with ID are exposed to human rights violations and deprived of minimum services and dignity. These individuals are also the most likely to be secluded in large institutions, unable to access basic health and educational services, and excluded from o rdinary social relatio ns. B. Thomas Golisano — entrepreneur, philanthropist, and civic leader — is the founder and chairman of the Board of Paychex, Inc. , headquartered in Rochester, New York. Mr. Golisano has demonstrated an ongoing dedication and commitment to a variety of civic issues and organizations. In 1985 he launched his first philanthropic endeavor by establishing the Golisano Foundation , which awards grants to organizations providing opportunities for those with intellectual disabilities. His personal philanthropic contributions to hospitals, educational institutions and other organizations have totaled approximately $300 million. The Golisano Foundation is now one of the largest private foundations in the nation devoted exclusively to opening doors to opportunity, changing negative perceptions and stereotypes, and forging unprecedented partnerships to ensure individuals with intellectual and developmental disabilities have pathways to personal dignity, independence and the best possible expression of their abilities and talents throughout their life times. With more than $40 million in gross assets, it has awarded more than $24 million in grants , about $2 million annually, to non-profit organizations in Western NY and New York's Finger Lakes Region and Southwest Florida .